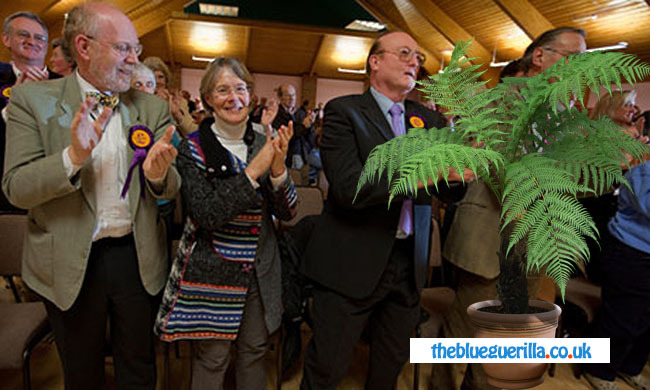 TheBlueGuerilla: UKIP Break Silence Over 'Tory Plant' Brooking. UKIP have today broken their silence as regards UKIP TBG plant Geoff Brooking. With the story having dominated the Letters page of the Portsmouth News every day since April 1st, UKIP Chairman for the city Stuart Potter was forced into issuing a statement after rumours swept the city last Friday that he may have been "fessed up to being a double agent". "When Mr Brooking was found out to be a plant he was immediately thrown out of the party." "His comments are smearing UKIP." "The Conservatives are running scared!" A bitter paddy?...and you're complaining about his views! Someone is impersonating me I have never made this comment about John Wallace. This has just come to my notice. I am still a member of UKIP and John Wallace had no part in our local disagreements.